Boardwalk Beach Resort offers and delivers everything you want in a luxury retreat. As you step into the lobby, you are presented with a striking view of the tropical pool deck and the beauty of the Gulf as it touches the shores of Boardwalk’s private beach. Lush palm trees surround the pool deck area and surround guests in a cool breeze. The pool deck comes with a children’s splash pool; two hot tubs and a heated pool. The Boardwalk offers lots of opportunities to have fun and get wet, all while overlooking the enticing Gulf. When you are no longer in the sun, and you still want to relax, there is no need to leave this great facility. On-site and free of charge to all condominium guests, is the sauna, steam room, and a fully-equipped fitness center. 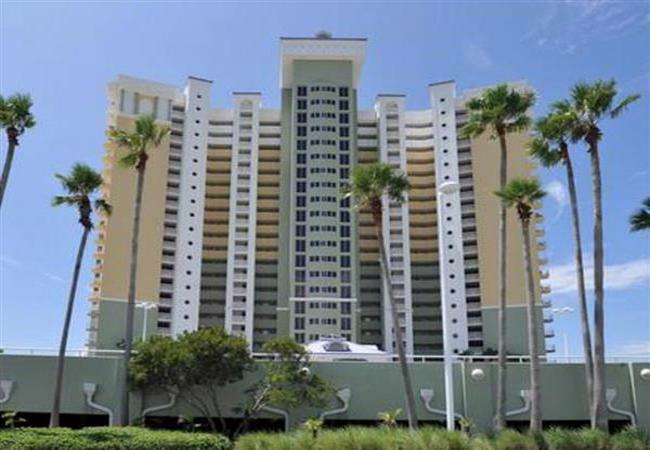 Boardwalk Resort is located in Panama City Beach. Nearby attractions include Signal Hill Country Club and Signal Hill Golf Course, Emerald Falls Family Recreation Centre and Ripley’s Believe It or Not. There are 104 condominiums in the compound. All rooms have an excellent range of amenities including air conditioning, cable TV services, and ceiling fans. Each condo has a balcony with a table and chairs to sit and enjoy the view of the Gulf. The condo has a living area for the family to relax in and a kitchen with an oven, microwave and refrigerator. There is a dining area and a private bathroom with a shower and bathtub combination. Children under the age of 18 can stay for free if they are occupying a parental or guardian’s room. Sorry, pets are not allowed. The amenities include a 24-hour front desk service as well as tour and ticket assistance. The Boardwalk Bar and Grill restaurant is located on-site by the pool area. A snack bar and deli is also onsite as well as a a lounge bar area for adults.